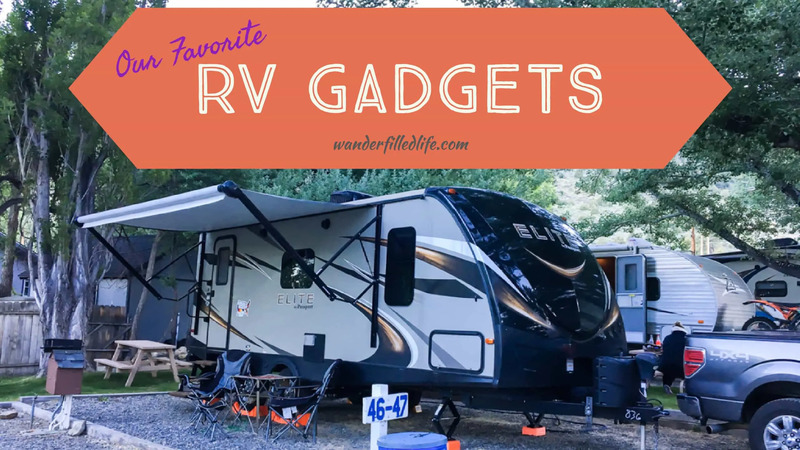 When it comes to a successful RV camping experience, I find it is the little things which make the most difference… little tools, tips and gadgets which make the annoying things more bearable. Here are some of our favorite RV gadgets. Unlike a lot of RV campers out there, we do not store our camper at a house, but rather in a storage lot. So, we are unable to plug-in the camper to power before we leave on a camping trip. That means our fridge is downright hot when we start. We also don’t run the fridge when we pull the camper, mainly due to safety concerns. These things work like a charm. We can’t recommend these enough! So, how do we get the fridge cold in a reasonable amount of time? These amazing freezer packs. These are relatively inexpensive, are completely reusable and all but eliminate the need for ice when we camp, or just when we are putting things in a cooler at home. We have two sets of them, one set of large and one set of medium. 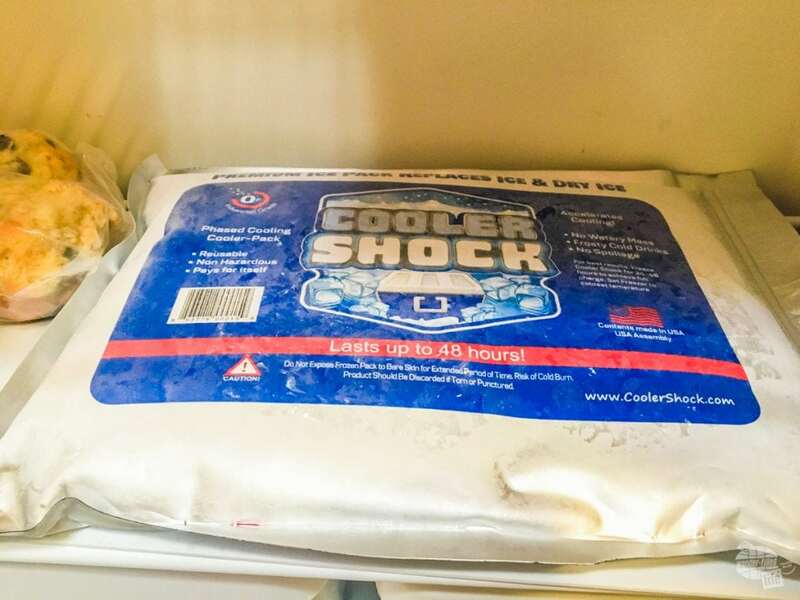 We are able to get the fridge cold and keep it cold even when we are not connected. That said, they do need a freezer to re-freeze once used, so they do have their limits. Still, we love them! Bonnie and her tissues… Oh, she goes through a lot of them. We have them in the house, in the truck and, of course, in the camper. Bonnie has to have her tissues and this certainly saves counter space. The problem, as anyone who has a camper knows, is shelf space is always at a premium. There is simply never enough room in a bathroom, ever. 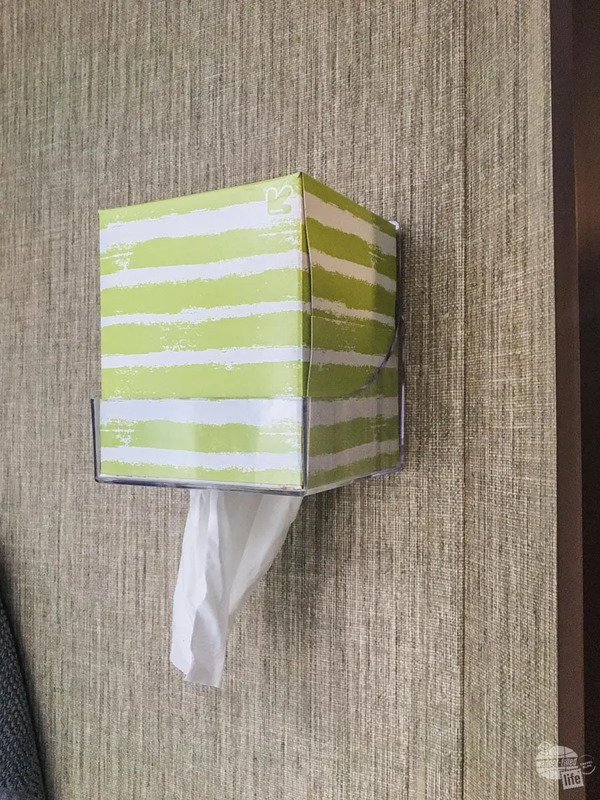 This little gizmo sticks onto the wall, holds a square box of tissues and makes it easy for Bonnie to grab a tissue when she needs it. If your goal is to travel the US (like us), having a travel map to brag about where you have been is essential. Seriously, though, it allows us to easily see where we have been in the camper and where we still need to go. We have plenty of destinations in mind and there are some great places we haven’t been to yet. Any RV used to travel the country should get one of these stickers. Yes, it is bragging, but it also sparks some great conversations with our neighbors at campgrounds all over the country. 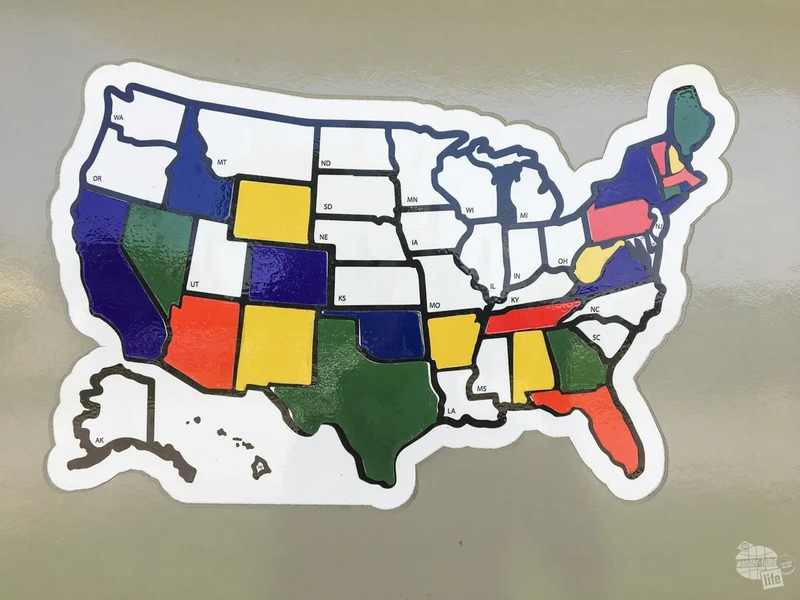 This isn’t the same one we have… we can’t find that one on Amazon anymore… but I really like this one with the state flags as part of the sticker! This, in conjunction with a drill, is probably one of the best gadgets you will ever have if you have scissor jack stabilizers on your camper. This attaches to the front of your drill and you can quickly raise or lower a stabilization jack in seconds. No hard work. No sweating. Drill and Socket Adapter makes putting down stabilizer jacks a breeze! I ran into one poor soul at the campground in Baker, NV who was lowering his jacks by hand in nearly 100-degree temps. I grabbed the drill and went over to help him, but upon closer inspection, his jacks did not have a drive nut. So, I couldn’t help him. Pro tip: If you are getting a new camper, make sure the jacks have a drive nut and you get a drill adapter. If the jacks do not have a drive nut, ask the dealership to replace them with ones that do. It will save you a lot of time, sweat and frustration. There are tons of brands of drills out there. Some are better than others, some are worse. I have used Ryobi tools as a consumer and as a technical theatre teacher for years. They are not the best tools out there, but they do the job well and are relatively inexpensive. 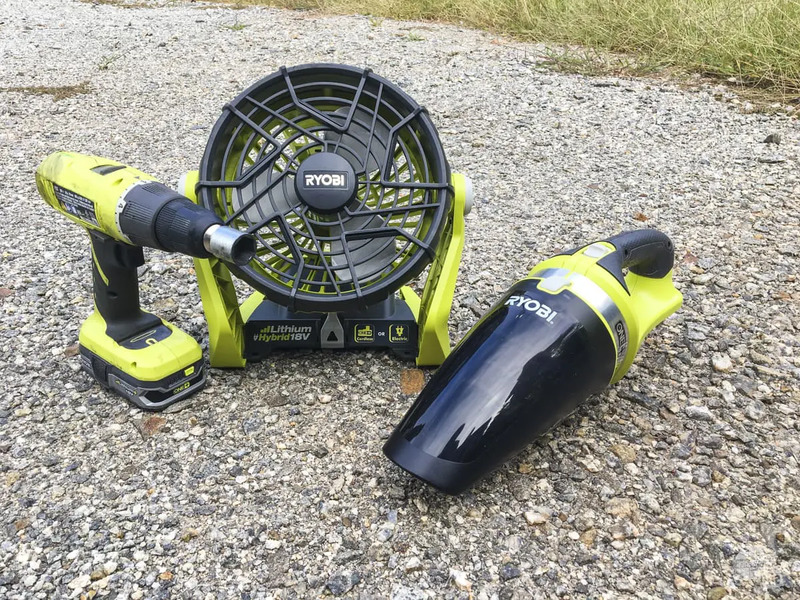 The ONE+ system from Ryobi creates a variety of products which run on their batteries. All three of these tools use the same battery and charger. I bought a drill to use with the drill adapter above. The battery and charger I got can also be used in the new fan we got. 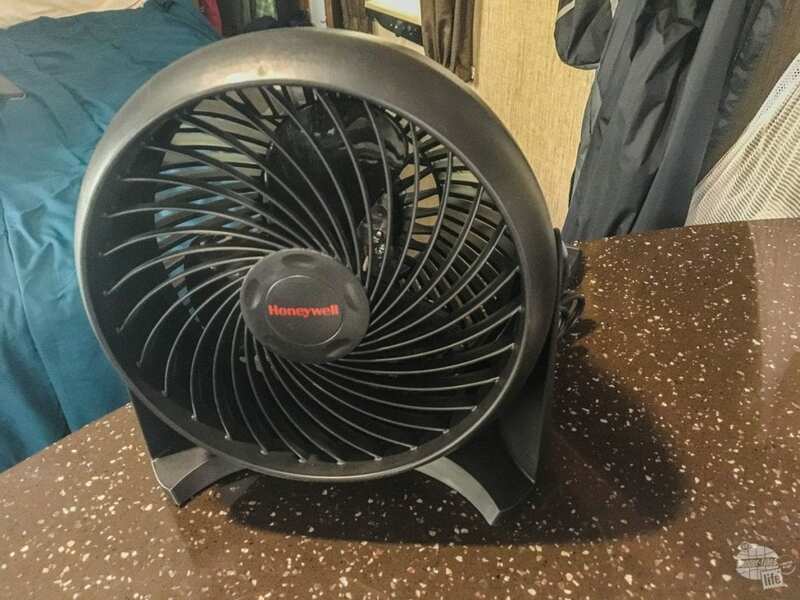 This battery or cord-operated fan is perfect for getting a breeze when boondocking. Cool, but what else can it do? Well, we now have a hand vac and are getting a power inflator, all of which use the same battery. One charger, one battery type, multiple tools. There are also lights, radios and, of course, plenty of yard and shop tools available. The other thing I like about them is Home Depots are relatively easy to find. Need another battery? Easy enough to find a Home Depot on the road. I have included Amazon links for these items, but you can likely find them cheaper at Home Depot. 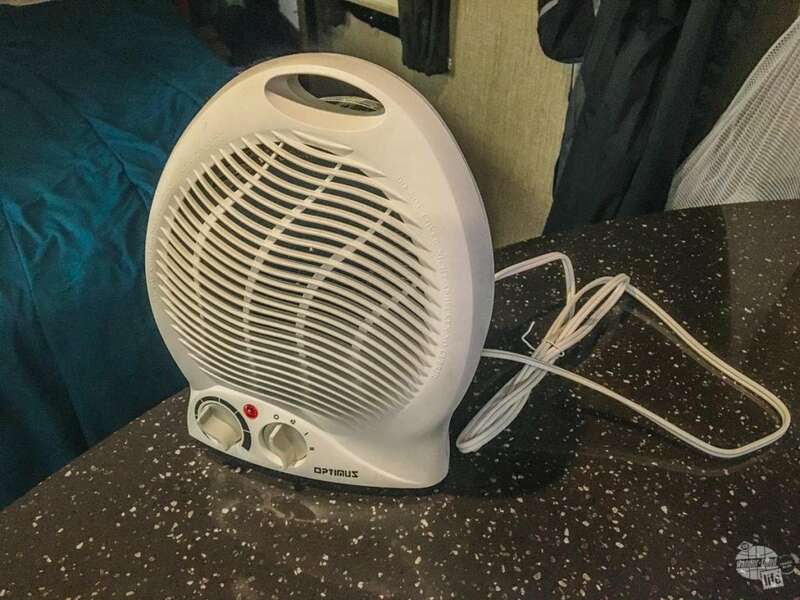 A corded fan and a small space heater are two of the best investments you can make for your camper. While our camper has a fan built into the AC, it rather noisy. This is a much quieter and more controllable alternative. While the AC for our camper is outstanding, it is also loud, which makes it hard to sleep. A small fan allows us to keep the temperature relatively low while keeping a consistent breeze on us when sleeping. Yes, we presently have two fans… The one I have linked here and the Ryobi one above. 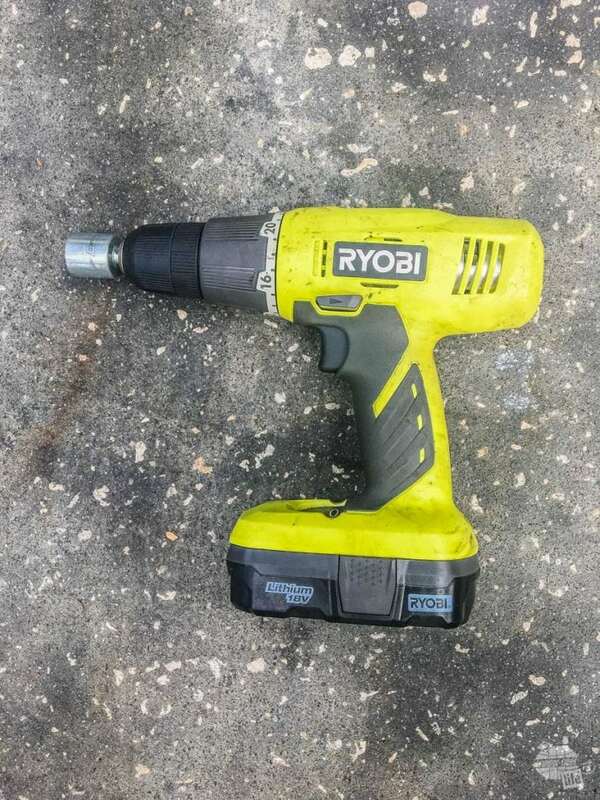 The Ryobi one is good, but is a little louder than this one and does not have quite as many settings. If I were to do it all over again, I would just get the Ryobi fan since it is more versatile. A space heater will save you a lot of propane on cold mornings. We have a propane furnace in the RV and it does a very good job of keeping the camper warm, but the space heater is amazing for keeping the bed warm, which is the most important part. The other nice thing about the space heater is it works off electricity, meaning I am using a lot less propane to heat the camper when it is cold. If you are anything like us, you have a ton of devices which need power, many of which use a USB cable to power them. 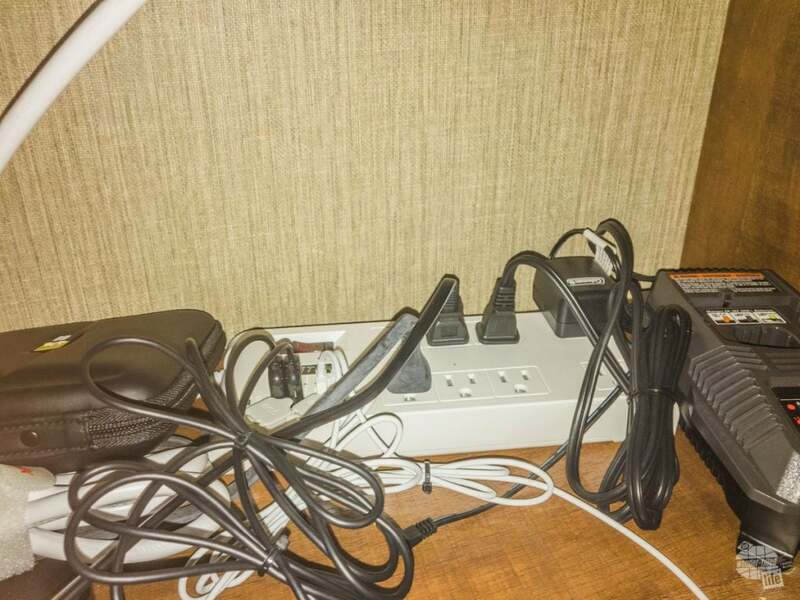 Power Strip with USB ports makes charging electronics easy. I bought this power strip because it could charge both of our phones and iPads, as well as the Ryobi ONE+ battery and power the TV, Apple TV and Amazon Fire Stick I have for the entertainment center. One location in the camper for all of our charging needs. It works like a champ. 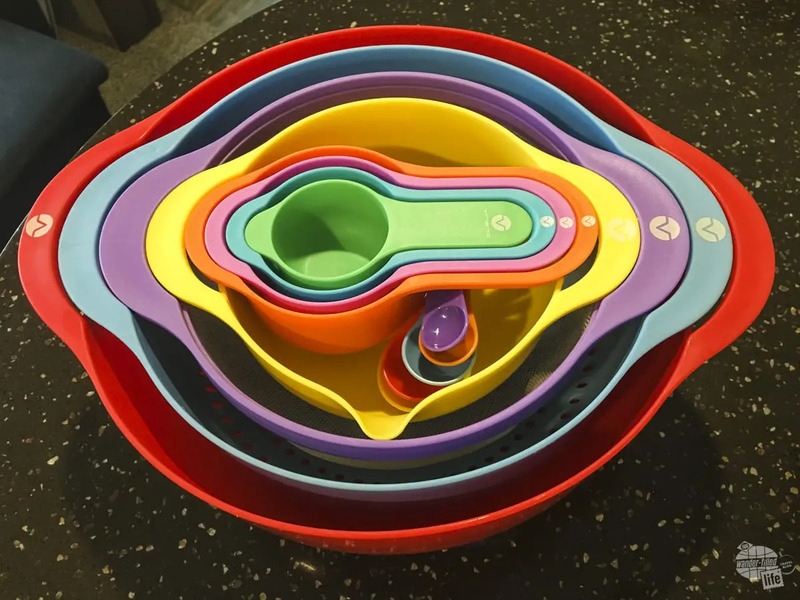 Bonnie loves these nesting mixing bowls and measuring cups because they take up so little room. They are perfect for the limited amount of space in our kitchen area. Bonnie loves how little space these nesting bowls and measuring cups take up. On our first big trip with the camper, we mistakenly thought we didn’t really need mixing bowls. Even though we typically are not baking, we now use these mixing bowls all the time to prepare a salad or marinade. Add in the measuring cups and spoons, strainer and colander and this set has everything you could possibly need in one small space. I keep two kinds of gloves in the camper: leather work gloves and nitrile disposable gloves. Leather work gloves will save your hands from grease and cuts. 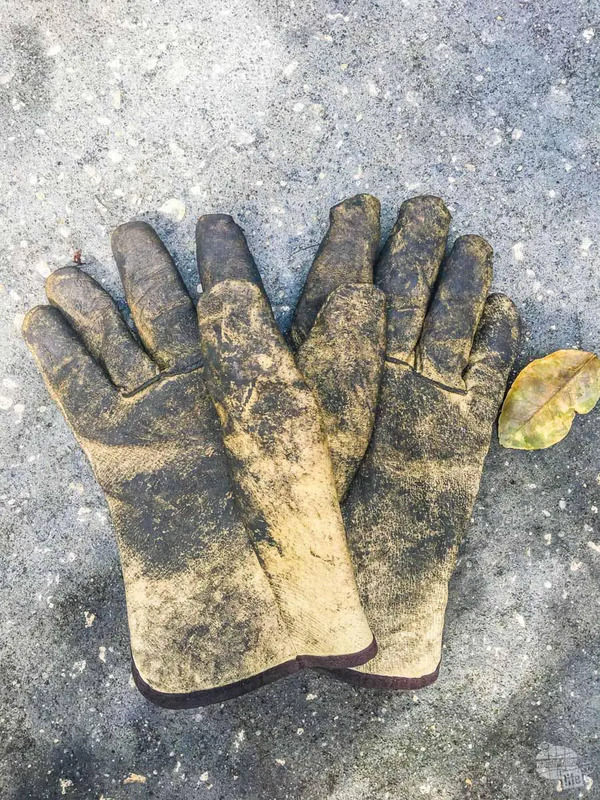 The leather gloves are great for handling all of the heavy, dirty work associated with the hitch. They protect my hands from getting banged up by the hitch, putting in the sway bars, etc., as well as keeping them from getting greasy while working. Especially with being on blood thinners, these gloves have saved me some bloody minor cuts and really nasty-looking bruises. Rubber gloves come in handy a lot more than you would think. 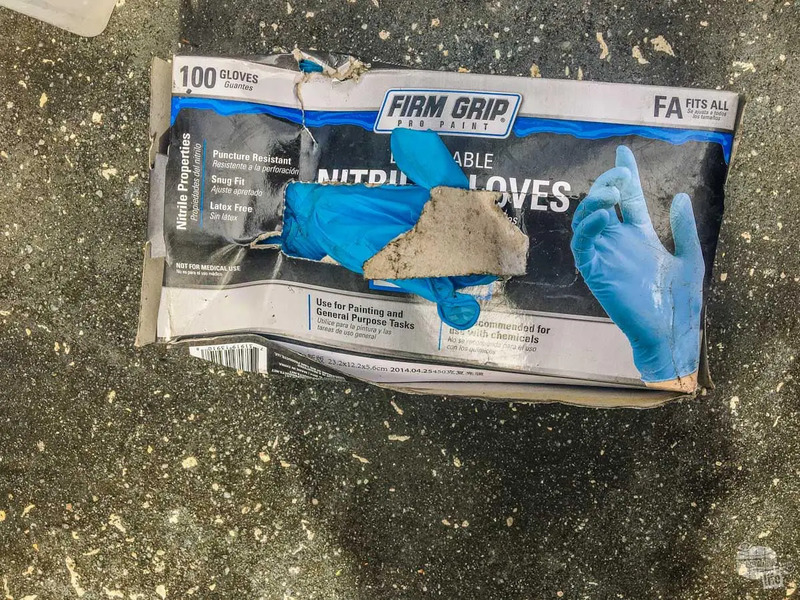 The nitrile gloves are used when I am connecting and disconnecting the water and sewer connections. These keep things sanitary for me and for the water connection. I also use them to grease up the hitch and sway bar connections. I have a new appreciation for this particular device since our last trip. I saw a guy have to line up his camper with the sewer connection because his hose stand would not curve. Sometimes, you need to improvise to have a good sewer connection. In this case, having plenty of Lynx Levelers really helped out. I could not have made this connection without the Sidewinder. This thing curves very easily and keeps drainage from backing up. I love this water hose. It seems a strange thing to say, but this hose is durable, easy to use and packs down to nothing. 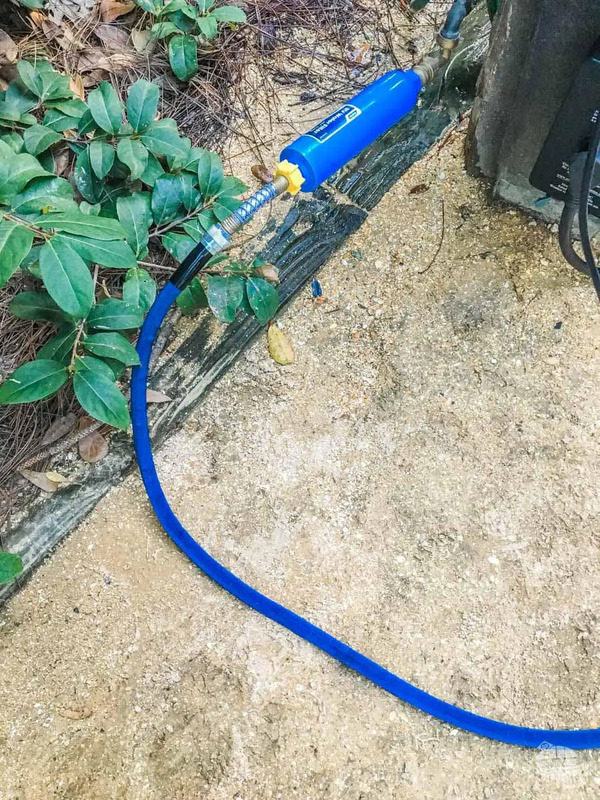 Our water connection consists of a brass pressure regulator, a water filter and a collapsable water hose, which we love. I also use a different, cheaper collapsible hose for my sewer rinse and flush hose. Again, it is so easy to deal with. We know these are not the end all, be all of RV gadgets, but these are the ones we love after three summers with the camper. What are your favorite gadgets? Please let us know what you like for your camper. You might have a suggestion we’ve never thought of! Looking for more RV Gear suggestions? Check out our guides on outfitting your new camper, both inside and outside. Travel Goals: Where to Next? Love your site, been going through everything from the past and reading up! Love the idea of what you are doing. We have 3 young kids, so cant say that its a possibility for us at this stage, but we want to travel more with our kids. Its funny because we have a 2016 F150 and a 35 ft Jayco trailer we pull. Great setup! We have everything you mentioned above. These little things make a huge difference. We have a surge protector for the electrical and a 50A to 30A converter as well. Some places here in Michigan have lots with different Amp service depending on the site. Your gadgets list includes a collapsible hose. 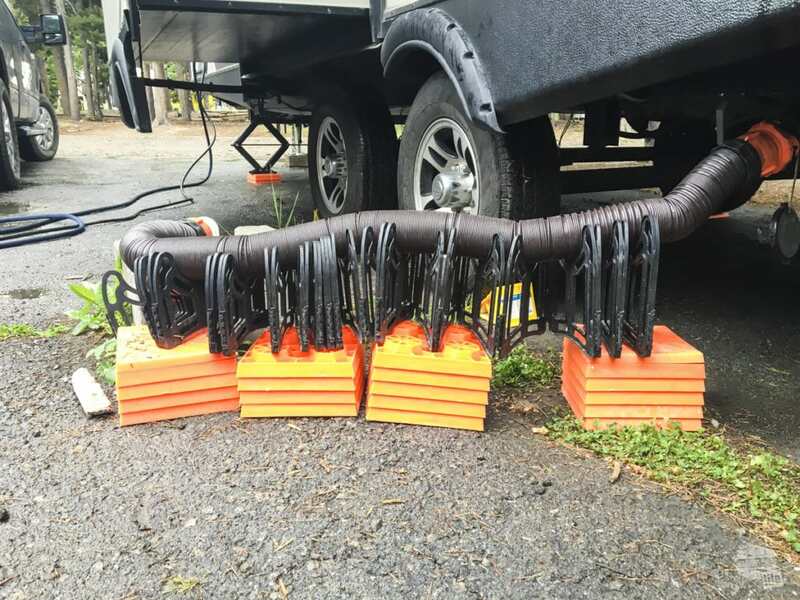 These hoses are not intended to be on constant pressure (a water hookup to a camper). And I have yet to find one without poor reviews for exploding and splitting after some use. Love the concept but these hoses aren’t ready for prime time yet. Hi Mary… I am going to disagree with you on the hose. The hose we bought is specifically designed for boats and RVs. We have used ours since August 2016 with no issues, including 15+ weeks of camping. We are not full-timers, so I can’t speak to using the hose 365 days a year, but our use has been great.